At Uftring Auto Group we are always trying to stay on top of new vehicle models that are coming to the market. Today's new vehicle spotlight come from the Uftring Chevrolet Blog. 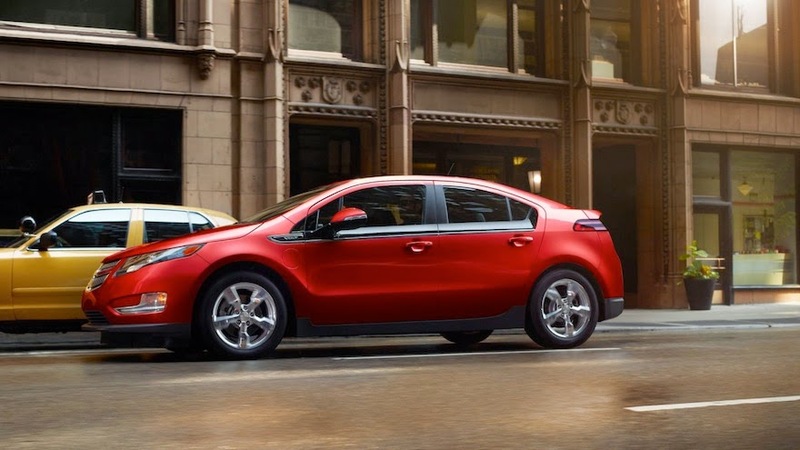 The 2015 Chevrolet Volt pushes the envelope of what an electric car can do. With a greater battery capacity of 17.1 kilowatt-hours, the new Volt tests the limits of how far an electric car can take you. And that’s exciting news for anyone who might be considering the benefits of a more fuel-efficient car. When you’re driving around Peoria, Washington or Pekin – the Volt’s range is more than enough to get you through a normal day on electric power alone. But for slightly longer trips, the gas generator is there for complete peace of mind. The new 2015 Chevrolet Volt still features the industry first engine design that allows you to switch from electric to a gas-powered generator for longer trips. As always, the Volt will drastically reduce your fuel expenses with an EPA-estimated 38 miles gas-free and 900 miles with fuel. With bold lines, the 2015 Volt’s design helps to achieve an extremely low drag coefficient. The Volt is a smart looking car on the road and when it is just parked in your driveway. The new 2015 design brings comfort and form into the cockpit as well. With two 7-inch interactive LCD screens, the driver can keep an eye on efficiency feedback, driving mode selections, and the available rear camera display. Not sure if you are ready for an electric car? Not a problem. At Uftring Chevrolet, we are well equipped to answer any concerns you may have about the Volt’s state of the art technology. Visit Uftring Chevrolet in Washington, IL and discover for yourself how it feels to have the power of electric and a traditional motor at the touch of a button. The Chevrolet Volt community is always there to answer any questions you have, check out their FB page here.